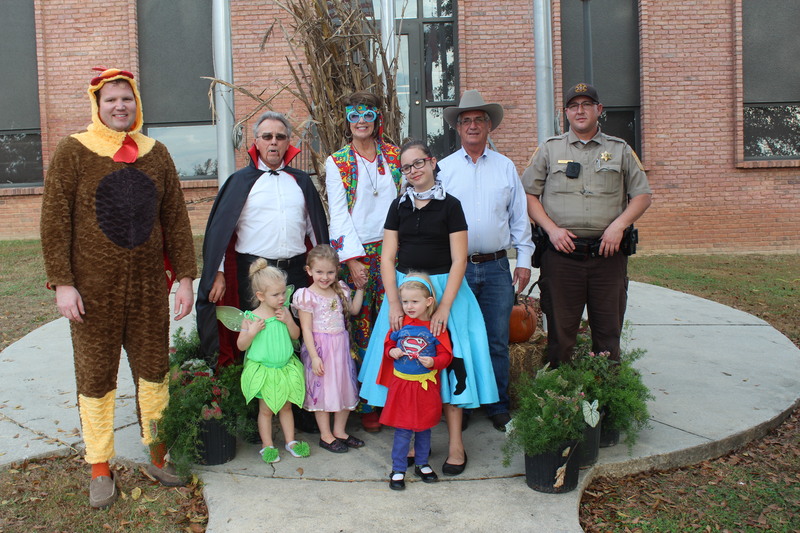 GOOD HOPE – The City of Good Hope celebrated Halloween with a costume contest from 3-5 Wednesday afternoon. Trick or treaters of all ages were welcomed as Mayor Jerry Bartlett took photos for the contest. Members of the city council and Rep. Corey Harbison, R-Good Hope (looking suspiciously like a turkey) joined the mayor in passing out candy. An estimated 100 kids took advantage of the event and generous helpings of treats were given out by Councilman Maxie Jones. All costume pictures taken by Bartlett will be posted on the City of Good Hope Facebook page (www.facebook.com/CityOfGoodHope). Winners will also be announced on the page once the council has an opportunity to see all of the contestants’ photos. The council will decide the winner of the costume contest, with a $50 gift card going to the first-place winner and $25 gift cards awarded to the second- and third-place winners.